42. Your Excellency, we have the joy of seeing you often in the United States. You like to travel here. Could you comment? My comment: I love all the souls that the Good Lord has entrusted to us, and there are quite a few in the United States. That’s all! 43. 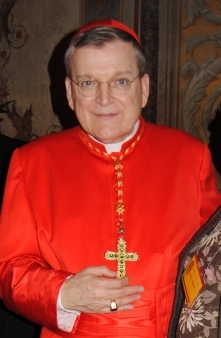 Have you been able to meet Cardinal Burke yet? I have tried several times to see him, but I have not seen him yet. 44. 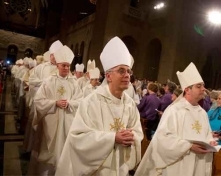 A large number of bishops in the United States showed their support for the March for Life; one of them even intervened forcefully against a [Catholic] hospital that was in favor of abortion. Is there any hope that they will realize that the crisis involves the Faith also? I think that, unfortunately, with modern clergymen you have to distinguish between faith and morals. Thus you will be able to find more bishops who are still responsive to moral problems than bishops who are concerned in questions of faith. However we can tell ourselves that if someone very courageously defends Catholic morality, he must have the faith and his faith will be reinforced by it…. That is what I hope, while recognizing that there are some exceptions. 45. 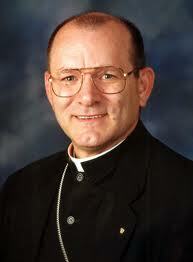 The American bishops want to revise together the directives given by John Paul II for the universities. What, in your opinion, are the urgent measures that should be taken to turn today’s universities into authentic Catholic universities? The first and most urgent measure is to return to Scholasticism. They have to get rid of those modern philosophies and return to the sound philosophy, the objective, realist philosophy. Saint Thomas must become the norm again, as at the beginning of the twentieth century. Back then the 24 Thomistic theses were obligatory. We have to return to them—that is absolutely necessary. And after this philosophical renewal, it will be possible to continue along the same line with theology. St. Thomas must become the norm again, as at the beginning of the 20th century. The 24 Thomistic theses were obligatory, were presented as obligatory. We have to go back to them—that is absolutely necessary. And after that, it will be possible and necessary to continue along the same line with theology. 46. Bishop Robert Vasa of Baker Diocese (Oregon) recently recalled that the statements of a bishops’ conference could not be binding on a bishop in his diocese. Is this re-litigating [calling into question again] the line of thinking started by the Council? On this question of collegiality, it is not just a bishop who has spoken up. The Pope himself, in addressing the Brazilian Bishops’ Conference, had some very strong words that put the role of Episcopal Conference in its place, and insisted on the personal authority of the bishops and on their direct relations with the Holy Father. 47. [Of all SSPX institutions,] the Seminary in Winona has the largest number of seminarians. How do you explain that? 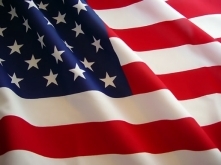 I think that it is quite simply due to the generosity of this country, which is readily inspired by a good cause. 48. What can be done to increase the number of priestly and religious vocations? Pray, pray, pray! Make sacrifices, too. 49. What are the strong points of the world of Tradition in the United States? I think that there is this generosity that I just mentioned, and also the schools. It is true that there is an impressive number of priests and that we would still need more, but I would say above all that the schools are indispensable. We must also encourage aid to Traditional families. We have to start a movement for families, to support and form them. They are the primary cell of society. The family is fundamental in the natural order and in the supernatural order. 50. In your opinion, Your Excellency, what is the importance of the schools? They are of capital importance. They are the future. 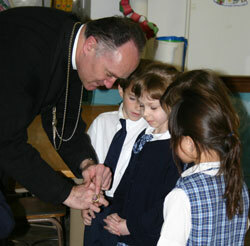 The young people will be Catholic if they have a good formation, but for that we need Catholic schools. 51. When parents are generous and therefore have large families, they are sometimes forced to home school. What do you recommend to those who have access to good schools? Those who have access to good schools should not hesitate one moment: let them put their children in those schools! Home schooling will never replace a good school. If there is no good school, that obviously that is a different matter. 52. Do you expect, Your Excellency, to call for another Rosary crusade? What do you recommend to the lay faithful today? Yes! The situation of the world, the situation of the Church—as anyone can see—continues to be very somber, even though there are some glimmers of hope, and these distressing elements oblige us more than ever to redouble the intensity of our prayers, while turning to the Blessed Virgin. For the lay faithful today, the indispensable thing is prayer: especially family prayer which is frequently renewed, together with the essential thing that forms the Christian soul, that is, the spirit of sacrifice. 53. Your Excellency, next year you will celebrate 30 years in the priesthood, 18 of them as the head of the Society of St. Pius X. What were the major events during all those years? That is quite a novel! …Of course, I have first to mention the consecrations! Other major events are the joy of having been an assistant to Archbishop Lefebvre, the joy of having been an assistant to Fr. Schmidberger, of having learned a lot at their sides, also the joy of being able to work with the other bishops of the Society, as well as with all our priests, in that great burst of zeal for the Faith, for the preservation of the Catholic Church. 54. Any wish for the years to come? That the Church will get back on track! This is a metaphor, but it is truly our wish. 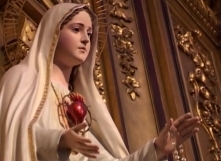 And for that to happen, the triumph of the Immaculate Heart of the Most Blessed Virgin has to come about. We need it so much! Thank you, Your Excellency, for granting this interview. The interview was conducted at St. Thomas Aquinas Seminary in Winona, MN on February 2, 2011, the Feast of the Presentation of the Child Jesus and the Purification of the Blessed Virgin. Our thanks to the Information Service of the General House and to the French and American editorial teams which translated and copyedited the answers of Bishop Bernard Fellay.